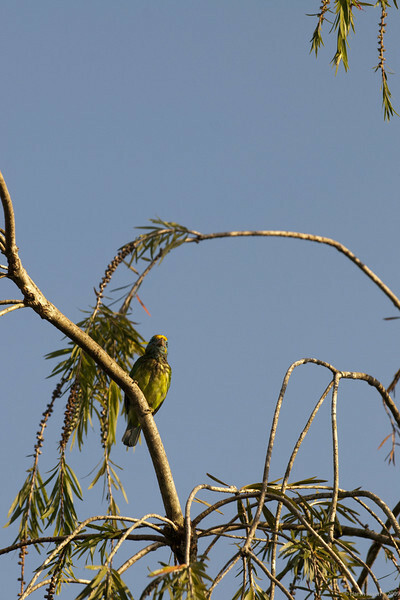 The Coppersmith Barbet, Crimson-breasted Barbet or Coppersmith (Megalaima haemacephala), is a bird with crimson forehead and throat which is best known for its metronomic call that has been likened to a coppersmith striking metal with a hammer. It is a resident found in South Asia and parts of Southeast Asia. 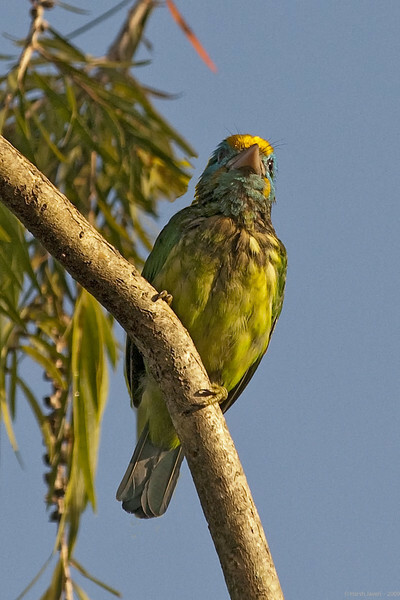 Like other barbets, they chisel out a hole inside a tree to build their nest. They are mainly fruit eating but will take insects. great shot.. love the colors. and the tones..
Great capture ! Nice colors. Super capture and perspective. Love the details especially on those tail feathers.